2017, just like 2016 before it, was another stellar year for Australian cinema with a bunch of truly superb films. The quality was stretched across theatrical and streaming, with some of my top 20 films having only being viewed by festival audiences. Without going on too long, I have to say that 2017 was a truly great year in getting to explore smaller Australian films, and has given me increased hope as to the future of Australian cinema. Eight films were directed by women. One film was nominated for Best Picture at the Academy Awards. Six films were made in Western Australia. Five films were adapted from books. Throughout 2017, there was a distinct ‘anti-refugee’ narrative being trundled out by the Australian government as well as segments of the media. It’s a devastating thread that carried throughout the year, and even set the tone for the start of 2018 with a certain politicians toxic comments about Melbourne. I mention this, simply because of the beautiful and heart warming presence of Constance and her family in the joyous (yet no less grounded) documentary, Constance on the Edge. 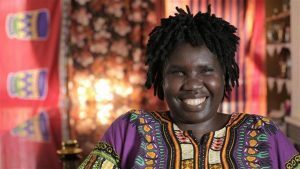 Director Belinda Mason brings a caring look at Constance – a Sudanese refugee who came to Australian with her family on humanitarian visas – allowing us to understand and appreciate the hardships that Constance moved away from. This is a real look at a group that is continually being vilified and cruelly treated around the world. We need more tales like Constance on the Edge on our screens. Steve Kilbey is the face – or rather, the voice – of one of Australia’s most enduring bands, The Church. As the title of this documentary suggests, this is a look at the life and times of Kilbey, and most intriguingly, it’s a look at the life and times of a song that just simply will not die – the classic, Under the Milky Way. Kilbey appears to be eternally haunted by the song, and in this fantastic documentary we get to see Kilbey’s frustrations about his legacy being tied to such a song. After all, this is a man who over 40 years has written over 750 songs, so to be tied to just one song has got to carry some heavy weight. Kilbey’s life is thoroughly examined, with the man himself questioning how he can come from a world where he played alongside the likes of Nick Cave, and playing in front of arena sized audiences, to playing in a small country bar in rural Western Australia. He’s reflective on his journey to where he is, and there’s a strong feeling that through the grumpiness, there resides a man who is truly thankful that he managed to take this path in his life. It would be remiss of me to not mention Patti Brook’s narration, as she provides a voice for the song Under the Milky Way – in turn, giving the tune a voice that questions its existence, and ponders about the nature of art. The death of JonBenet Ramsey remains unsolved. Odds are, this is a crime that will never be solved. However, it is a crime that echoes through time – the brutal death of a young child at Christmas time, and the strange circumstances of that death will leave many asking questions as to how this happened. Kitty Green’s documentary is less interested in answering the question of ‘whodunnit’, and more interested in examining how a the citizens of a town perceive an event that shook everyone who lived there. Green’s film shows actors auditioning for roles for an eventual telling of the Ramsey families story. They read off lines from a script, while also discussing their connections to the Ramsey case, and most importantly, their theories as to what happened. At times, this film pushes the boundaries of acceptable, with one scene in particular having a group of young boys attempting to smash a watermelon with a flashlight. While this may not entirely reach its intended goal of exploring the complexities of the role of the artist and the real world people they are portraying, it does at least present some interesting questions that you’ll no doubt be pondering on long after the credits have rolled. Director Aaron Petersen’s powerful documentary follows the path of Zach Doomadgee as he grows from a boy into a man, and the relationship he has with his father, Alec, as well as the country that his family came from. Petersen starts the film when Zach is ten years old – he’s a young boy who adores his father, and can’t wait to take place in the initiation ceremony that would usher him into manhood. However, when we meet up with him at fifteen years old, we see him as a man who has been changed by the world around him. The optimism is still there, but he has been challenged by a world that rejects him. With feet in two worlds, Zach’s story is one that many indigenous Australians will no doubt relate to. He wants to grow up and live a life that is far from the drugs and alcohol that plagues both worlds, but he also lives in a world where racism drags him down at every point. If this sounds almost too dark, then rest assured that the bond that Zach and Alec have is a powerful one that provides an endearing sense of hope. Zach is a great character whose journey is one that deserves to be seen by all. Hopefully we get a sequel down the line to see where his path has taken him. The ‘one shot’ film has been a regular concept in cinema that has worked to push the art form in new, creative ways. Even though there have been attempts in the past (Kriv Stenders stunning Boxing Day is worth seeking out), Australia has never had an entry in the field. A film that’s made with a ‘gimmick’ at its core is nothing if the core drama carries no weight. Watch the Sunset is the announcement of a talented team of individuals – BarrLipp Films – who will no doubt forge a powerful path forward in Australian cinema. If there were a film that deserved more than a few festival screenings, it would be this one. 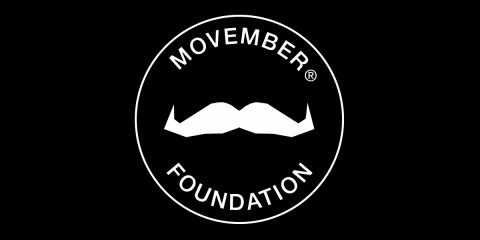 Keep an eye on these guys. They’re going far. Every year there’s a handful of films that quietly slips through the cracks that deserved wider attention. Secrets at Sunrise is one such film. Jennene Riggs brings her experience documenting wildlife to this extremely vital story about a possibly extinction event occurring in the beautiful South West of West Australia. The Western Ground Parrot is an extremely rare bird that is continually at threat due to predators, bushfires and many other problems. This powerful documentary essays the extreme difficulties that wildlife carers go through to help protect an endangered species. 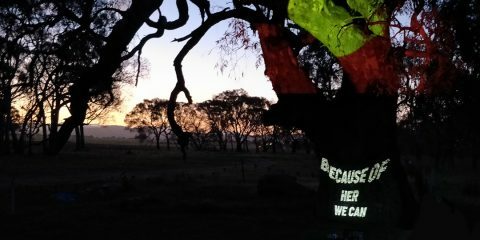 From the feet out in the fields, waking before dawn to try capture the sound of the elusive ground parrot just to acknowledge that it still exists, to the zookeepers working at Perth zoo attempting to establish a captive breeding program, there is a lot of pain witnessed here. But, from this pain and difficulty, an immense amount of hope is born. To see all these different people come together to save a species is truly powerful to witness. When joined together, anything is possible. Films have the ability to encourage change, and Jennene’s touring of Secrets at Sunrise around Australia has helped boost the profile of this endangered species – and in turn, the many endangered species that are threatened by similar threats around Australia. In the middle of nowhere, a story of natures future is unfolding, and it’s thanks to documentarians like Jennene Riggs that we’re reminded that we’re not alone on this planet. If this film sounds like something you’d like to see, I encourage you to purchase a copy of the DVD from the website here. 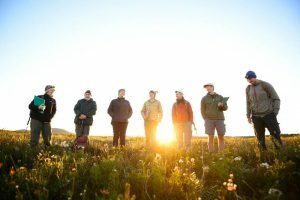 50% of the proceeds go towards helping the Western Ground Parrot Recover Project. Craig Silvey’s Jasper Jones is as an Australian young adult literature classic. Set in a sleepy little town in country Western Australia, Silvey’s story is one of racism, equality, the past and the future. It’s a powerful book that has well and truly earned its place in Australian school rooms. It’s then great to see that the book has been honoured by a brilliant film by one of Australia’s greatest director, Rachel Perkins. I could go on about how great all the cast is here, or how devastating some of the third act moments are, but instead I’ll mention the reaction after a Q&A session I attended in 2017. Rachel Perkins, Angourie Rice, Craig Silvey and a few others were there to answer a packed audiences questions. Usually at Q&A’s the questions are rote – the same old, how was it working with this person, what was your favourite moment. Not this audience. This audience was full of teenagers who came prepared. They asked the hard questions, the questions that made me hopeful for the future of Australia. They asked about the films portrayal of racism, they asked about the difficulty of casting a multicultural film, they asked about the complexities of portraying abuse on screen. This was an audience that knew what they were watching and what they were engaging with. After the Q&A finished, Craig Silvey sat to sign a seemingly endless line of fans, patiently waiting to get their books signed. This film is possible because of his writing, and Australian cinema is all the better for it. We need more Jasper Jones films on our screen. Ali was supposed to get married to someone, but turns out he liked someone else. He also really wants to be an actor, but unfortunately for Ali, he’s gone and lied to his family about getting into medical school, so he has to deal with that hurdle before he can scratch that acting itch. Also, Ali’s a mad Bombers fan. 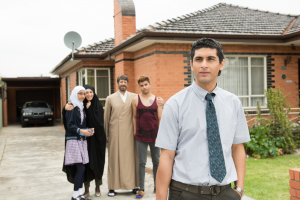 All of this is true, and all of this comes from the life story of Osamah Sami, who plays himself in this raucous, hugely entertaining romantic comedy. Ali’s Wedding – like another film further up the list – is destined to be a genuine Australian classic. It’s hilarious in all the right ways. It’s heartwarming and beautiful with its honest, from the heart love story. It’s a celebration of life, of what it means to be alive, and most importantly – of family. Don Hany has always been one of Australia’s most undervalued actors, and here he delivers possible his career best performance. It’s great to see that Ali’s Wedding was a smash at the box office, lasting seven weeks in total. Hopefully with its home release in a day or two it’ll get a second wind. Jennifer Peedom’s Sherpa is one of the greatest documentaries Australia has ever produced. 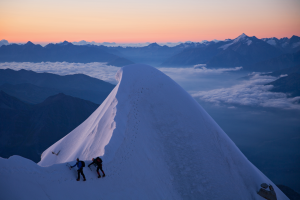 It’s a powerful film about the allure of the highest peak and the lives of the people who make the journey to the top possible. As a companion to Sherpa, Mountain works as an ode to the mountains that are conquered on a daily basis. Through Willem Dafoe’s narration that quietly creeps in to provide context to the visuals when necessary, sways from soothing to frightening in the same breath. He mentions that the climbers, the skiers, the thrill seekers and conquering chaos, and through the stunning cinematography we get to see that perfectly. This is a film that showcases the majesty and the beauty of the various mountains around the world. The indifference that mountains have for humans is perfectly displayed in a sequence that has aforementioned thrill seekers crashing, failing, falling, becoming broken, in many different ways. These mountains have existed before humans arrived, and they will remain long after we are gone. These are the pinnacles that deities sit on. These mountains are the cradles of life. If there’s a theme through some of the films I’ve got on my list here, it’s that they request we respect the world we live in more than we already do. With a level of embarrassment, I have to say that before experiencing Jennifer Peedom’s films, I hadn’t given mountains much of a thought. They exist in the world, I exist in the world, and never the twain shall meet. However, through Peedom’s work I’ve grown to respect these quiet entities, and to admire the monumental place they take in our lives. If you haven’t seen either Sherpa or Mountain, then I suggest seeking them out on the biggest screen possible. You’ll be in awe. Director Peter Gleeson’s superb documentary about a sleepy town in the middle of nowhere is one of the best explorations of Australian masculinity. 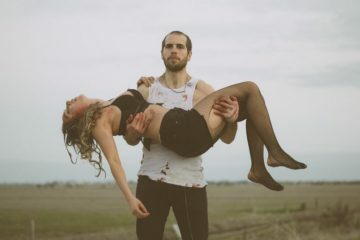 Through the eyes of two hopeful backpackers who are merely looking to recoup stolen funds before moving on to see another part of the world, the residents of Coolgardie (a small mining town just down the road from Kalgoorlie) are presented without judgement. Gleeson acts as a fly on the wall, observing quietly as belligerent, alcohol fuelled, sun drenched labourers expound everything and anything onto these fresh out-of-the-box barmaids. Hotel Coolgardie borders on being frightening, hilarious and heart breaking all at once. A moment where Lina watches over the almost empty street of Coolgardie, hears the song of a Mr Whippy van crying out in the dying light. She mentions how it’s the saddest song she’s heard. Devastatingly hilarious, this brief moment epitomises the unreality of the reality of Coolgardie. This town feels so detached from the ‘real world’ that it feels unreal. Hopefully Gleeson continues telling these sorts of stories, as these segments of Australia are so rarely explored on screen. Top Knot Detective started life as a SBS telemovie, and was rejigged for theatrical screenings around Australia in 2017. Subsequently, an international jog brought this crazy story to a wider audience, whose reactions have been superb. Top Knot Detective is as uniquely Australian as any other film on this list. 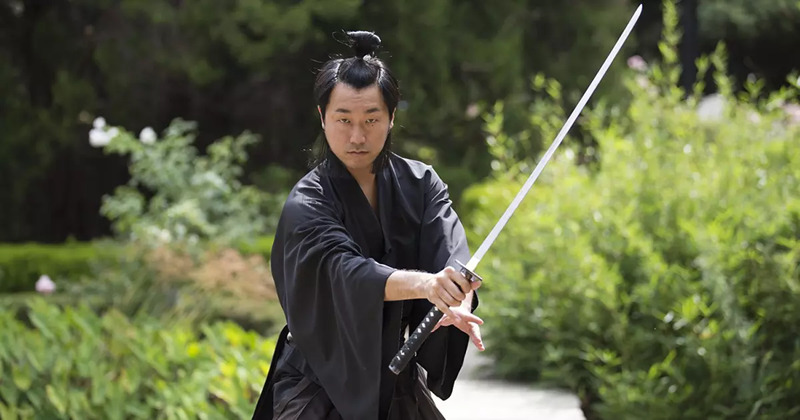 It tells the story of a late night cult TV show from the nineties, Ronin Suiri Tentai (Deductive Reasoning Ronin), and focuses on the exuberant lead Takashi Takamoto (Toshi Ozuzaki) and his increasingly insane exploits. On paper, Top Knot Detective is as niche as it gets – it draws inspiration from obscure Japanese films and TV shows, is inspired by late night SBS TV, and ruminates on obsessive fan culture, while also exploring problematic heroes – but it’s the strength of Aaron McCann and Dominic Pearce’s writing and directing that makes all of this supremely enjoyable. It would be easy to half-arse this and simply make it a film full of funny quips and dodgy action, but that was never the aim of this film. There is a great respect for the genres that McCann and Pearce are drawing from, and in turn, what starts out as a hilarious romp, gradually moves into a surprisingly touching finale. David Stratton is the Roger Ebert of the Southern Hemisphere. His love, knowledge and admiration for cinema of all kinds is unparalleled in Australian film criticism. Stratton watches a film a day, and keeps a catalogue of every film he’s ever watched. He’s also amassed the admiration and respect of many artists involved in the Australian film industry. Sally Aitken’s documentary is a blend of the life of David Stratton, and the history of Australian cinema. Stratton’s life is entwined with the history of Australian cinema, given his work in bringing international artists to our shores to attend various film festivals, while tirelessly championing the work of Australian artists. This is a powerful documentary that looks at how we interact with cinema, and how the art form of cinema can influence our lives. Hearing David Stratton talk about the power of cinema is as joyful and emotional as you could expect. 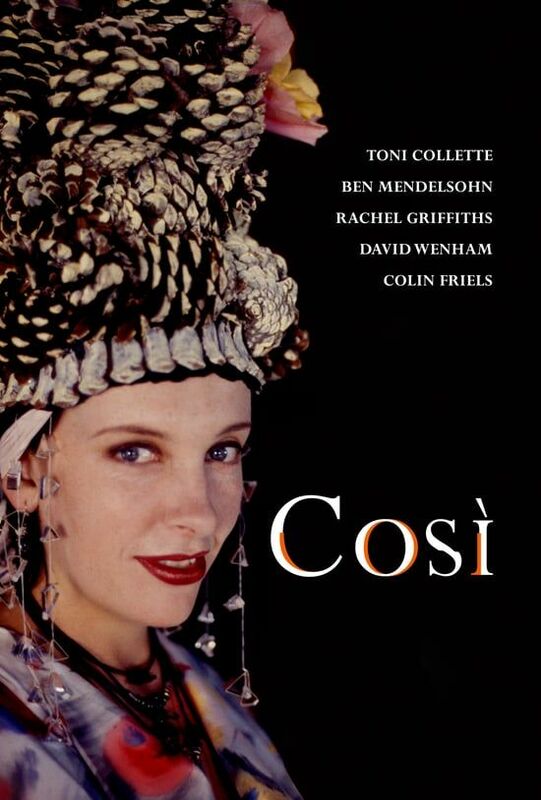 For anyone looking at a brief rundown of Australian cinema, and the history of one of Australia’s greatest film critics, then this is definitely a film that needs diving into. Australian cinema has housed many different versions of the horror genre. Greg McLean’s Wolf Creek series has been a banner effort that leads the bunch. As a proud challenger, Damien Power’s Killing Ground, stands in the path of Mick Taylor and says, you think you know terror? Let me show you terror. Enter German (Aaron Pedersen) and Chook (Aaron Glenane). Two hunters who chose to terrorise a camp site over a seemingly peaceful Christmas/New Years period. What results from this reign of terror is one of the most powerful, bone chilling horror films ever produced in Australian history. Pedersen and Glenane would be nothing if they weren’t given an array of victims to terrorise. Here is where Killing Ground shines – lead by the truly superb Harriet Dyer, the unfortunate souls who will no doubt meet terrible fates along the way are fully realised characters who aren’t mere victims for blood thirsty killers. You can tell that these characters have hopes, dreams, lives that live beyond the campsite they find themselves at. Power’s writing and directing lives in the characters he’s created, and the unflinching desire to showcase a truly horrific story that doesn’t hold punches. 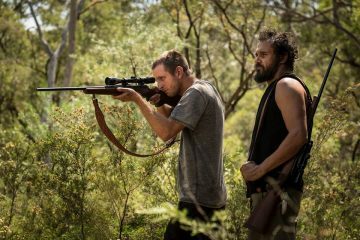 A moment with a toddler will no doubt leave parents truly terrified, but for me it’s the question raising ending that really cements Killing Ground as a modern Australian horror classic. Do not miss this if horror is your genre of choice. Jonathan Messer’s documentary, It’s Not Just Me, follows the lives of four transgender men as they embark on the journey of transitioning from female to male. The trust that Messer builds with his subjects is powerful. By sharing their very personal journey on screen, we’re able to understand and appreciate a journey that we so rarely get to see explored in either documentaries or fiction – that of the transition from female to male. In a year where the Australian public had to vote on the rights of fellow citizens via the mail, It’s Not Just Me is a welcome reminder that no matter your gender or sexuality, you are not alone. 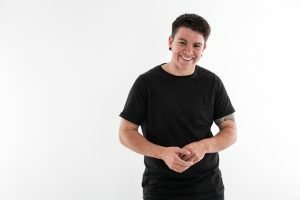 While LGBTIQ stories have often skewed towards the tragic, it’s refreshing to see that there is a wealth of humour and a sense of community in It’s Not Just Me that will no doubt provide a foundation for others going through a similar journey when the documentary eventually reaches a wider audience. If this is a documentary that you want to support, then please head along to the GoFundMe page for It’s Not Just Me to help the team behind the film head along to the 2018 Sydney Mardi Gras. In 2017, there were a few films that made me realise something that I should have realised a long while ago. Three Summers was one of those films that made me look at myself and say, hey, this cynicism you have, it’s not helping you at all. In fact, it’s making you worse off. There’s a comfort in being a curmudgeon, in grumbling at anything that’s outside of your bubble, but it’s a toxic comfort. Three Summers is a helpful antidote to the cynicism that is rampant throughout Australia. It’s an olive branch to both sides of politics, reaching out to say ‘let’s put our differences aside and work together to make this country better’. And all of this comes from true blue Aussie Ben Elton. If the idea of a folk music festival as a setting for uniting a community a little twee, then rest assured that the trademark Ben Elton humour runs through the story with glee. 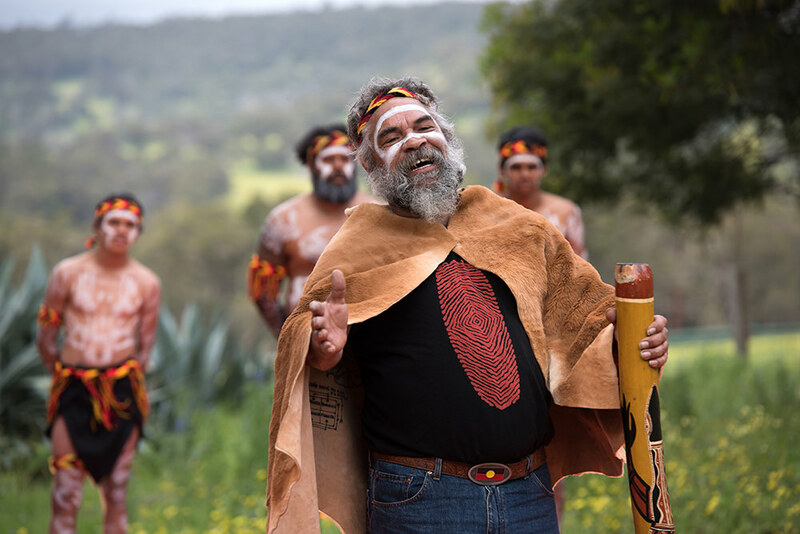 Whether it be an uber-left leaning violin player who transforms classic Australian songs into modern politico-hits, or a bell wearing Grandpa who finds a common ground with the indigenous Australians he once criticised, Three Summers is all about unity. Sure, that may sound airy fairy for some, but if you set aside your cynicism, and are willing to give your funny bone a workout, then you’ll truly enjoy this fantastic slice of positivity. Greg McLean has been one of Australia’s greatest genre filmmakers. The quality of Wolf Creek was no fluke, with his work consistently showing to be some of the best in the field when it comes to the horror/thriller genre. With Jungle, Greg McLean has created his finest work. 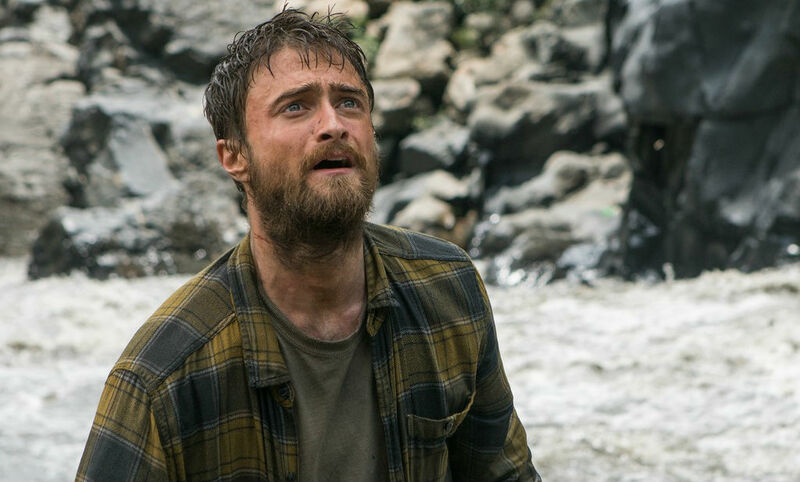 Telling the true story of Yossi Ghinsberg, and his tale of survival in a Bolivian jungle, McLean works with Daniel Radcliffe to tell this powerful story of survival. There are moments of terror, gore, and fear, and each one of them is driven by a purely human desire to survive, to live, and to exist. There is a surprising narrative choice to explore Ghinsberg’s religion in flashbacks, that works to reinforce Ghinsberg’s decisions in life that have lead him to be in the middle of a remote, harsh jungle environment. 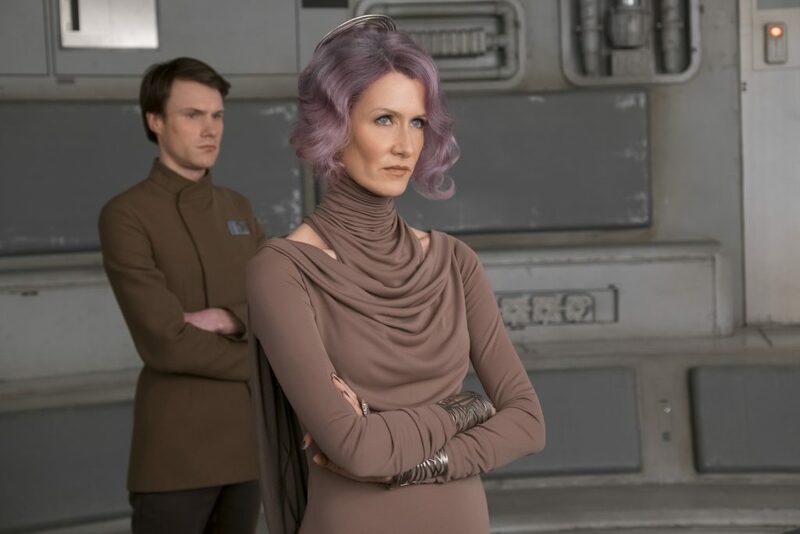 It’s these choices that help humanise the characters, elevating them above being mere vessels to be battered, bruised and beaten by the world around them. 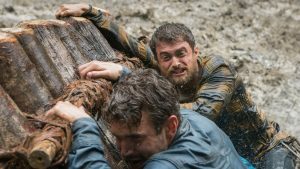 One of the more undervalued Australian films of 2017, Jungle is a great work from a great director – and one who I’m excited to see continue to grow from here. Oh, and it has a scene with a bot fly that is an all timer. The humble bot fly has been absent from screens for too long. A bit of scene setting for a moment – way back in 2006, the great Rob Stewart directed a documentary called Sharkwater. It helped change my life. In 2009, Rupert Murray directed a documentary called The End of the Line, and paired with Sharkwater, I was finally given the push to decide to no longer eat seafood. In the realm of ‘life changing’ events, not eating seafood is fairly low key. In 2017, Rob Stewart was in the process of making a sequel to Sharkwater, Sharkwater Extinction, when he unfortunately lost his life. Adding to the ocean concerned conversation was Karina Holden, with her documentary Blue. Blue focuses on various ocean preservation ecowarriors who are all working in their own way to help protect our oceans. Whether it be through the decimation of the worlds shark populations through the eyes of Madison Stewart and Valerie Taylor (these two proud, great women sharing a moment together is one of the most powerful moments in documentaries in 2017 for me), or through the discovery of a pen lid and a wall plug in the crop of a juvenile seabird in a remote location where no humans live, Blue is dedicated to showing the footprint of mankind in a region of the world where man does not live. While Sharkwater and The End of the Line both focused on overfishing, Blue is focused on the legacy of mankind and our relationship to the oceans around the world. 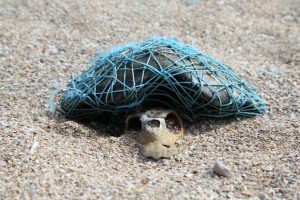 It questions our relationship to single use plastic items, and asks us to reassess our life and leave behind a smaller footprint for the sake of the world around us. An ocean with no life means a planet with no hope. Just like Secrets at Sunrise, Blue is a powerful documentary that reminds us that there are a few good people in the world trying to mend the scars left by the many. Watch this film, it may just change your life. Mat de Koning’s explosive documentary Meal Tickets is possibly the biggest surprise of the year for me. On the surface, this appears to be a run of the mill documentary about a cocksure rock band trying to make it big. Sure, we’ve seen those stories before, and for the first twenty minutes or, Meal Tickets is just that, another film about a band wanting to make it big. 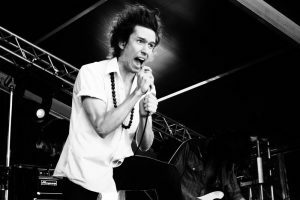 But, what elevates this raucous film above being just a regular old music biopic, is the deep relationship Mat has with the bandmates of the Screwtop Detonators – long-time friends since high school. What started as a documentary aiming to capture their tour of America, gradually grew into a ten year tale about success, art, friends, mental health and family. Meal Tickets sits comfortably alongside the brilliant Dig! as an essential documentary about creation rock music and the minds behind the band. Testosterone and alcohol fuelled antics are prevalent, but no more than the desire to break out of a sleepy little death toll town like Perth, Western Australia (aka ‘the most isolated city on Earth’). Over this ten year journey, we see Mat de Koning grow as a filmmaker, all the while his friends (and subjects) move cities, grow as families, change bands, change art forms, and generally mature as people. This is an exceptional documentary, and easily one of the best of 2017. Everybody should mark this up as a ‘must see’ film, and then subsequently head along and go and support Mat de Koning’s next film, 29 Years & Eight Days, a film about artist Matt Doust, that is currently being made. With only three feature films under her belt, Cate Shortland has well and truly cemented her place as one of Australia’s great directors. In 2017, she delivered her finest work with Berlin Syndrome – the second Shaun Grant script on the list (first being Jasper Jones). The collaborative work that Shortland has embarked on with her lead actresses is one that should be lauded. With Somersault, Shortland helped forge Abbie Cornish’s career. With Lore, Shortland gave Saskia Rosendahl a stunning first film. With Berlin Syndrome, Shortland gives Teresa Palmer the performance of her career. As a young tourist exploring a foreign city, alone for the first time, yet eager to document the world around her, Teresa Palmer delivers one of the best performances of 2017. Australian cinema appeared to have a bit of a thing for films that focused on women being caught by heinous men, and while Hounds of Love is a solid film, for me, Berlin Syndrome is the one that presented that traumatic scenario in the best possible way. Shortland is careful to give Palmer’s Clare Havel the time to grow as a character, while also give her captor Andi Werner (portrayed superbly by Max Riemelt) time to grow. The cinematography by Germain McMiking brings a beauty to a dark environment, with the muted grey colours of the apartment like prison (a nod to the production design by Melinda Doring is needed here too) reflecting the trauma that Clare is experiencing. Where these sorts of stories are often told from a male perspective, it’s powerful and refreshing to see such a powerful story told by a director as talented as Cate Shortland. It’s been months since I saw Berlin Syndrome, and I’m still in awe of the character choices that Teresa Palmer makes. 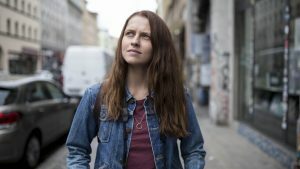 Berlin Syndrome left me shocked, and when that shock wore off, I was left with a feeling of excitement – who knows what Teresa Palmer will do next, but this feels like a step to another level for her as an actress. I’ll be the first to admit that when it comes to Garth Davis’ Lion, I am the victim of confirmation bias. This immensely emotional film follows the story of Saroo Brierley as he separated from his family, and subsequently adopted by an Australian family. The confirmation bias doesn’t come from seeing distressing stories about children separated from their families, far from it. Instead, it comes from the hopeful and inspirational world view of Sue and John Brierley. Two people who want to give a home to less fortunate children through the means of adoption. When there are so many souls already in this world, seeing two people give a home to those in need is exceptionally emotional. However, that would all mean nothing if it weren’t backed up by natural, career best performances. The first half of the film lies solely on the shoulders of young Sunny Pawar, who has to act out some of the hardest moments of Saroo’s journey as he is lost in a part of India that he does not understand. The dialect is different, the streets are strange, and the people are too many for Saroo’s voice to be heard. He becomes another lost child on the streets of India. When he is adopted and finds his feet in Tasmania, Saroo is portrayed by Dev Patel in a career best performance. The Australian accent is often difficult to portray, but you could swear after a minute of hearing Patel talk that he truly came from Tasmania. Lion’s cinematography by Greig Fraser beautifully captures the dark streets that Saroo finds himself on in India, and the dark green vistas that Saroo grows up in in Tasmania. When paired with a score by Hauschka and Duston O’Halloran, the visuals and the sound harmonise together to help bring this devastating story to life. Everything about Lion works. This is a dedicated effort to ensure that Saroo’s story, and in turn, the story of the 80,000 missing children in India, is told with the care and respect it needs. I’m thankful that this story was brought to life, and I’m also hopeful that a story like Lion, and the unending efforts of Sue Brierley helps raises the awareness of the possibility of adoption, and the many kids around the world in need of a home.